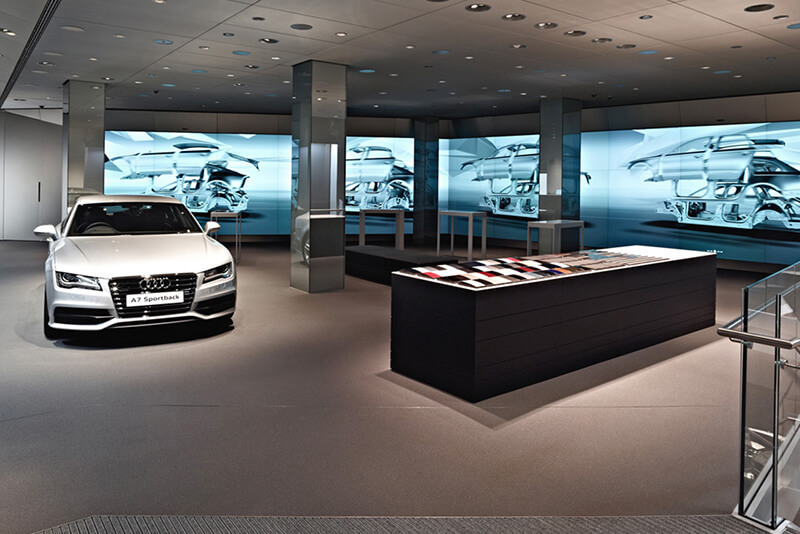 Shopworks played a key role in helping Audi develop a brand-new showroom concept in a small footprint, high street environment that would generate interest in both the store and the Audi City brand. 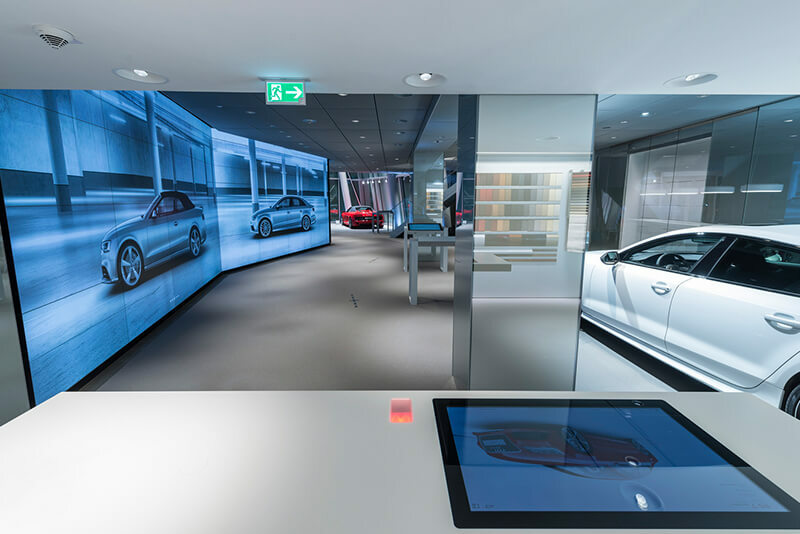 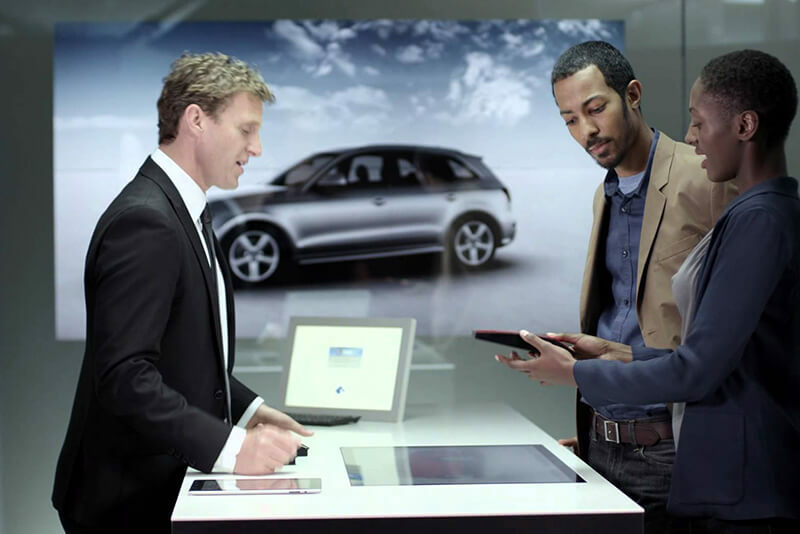 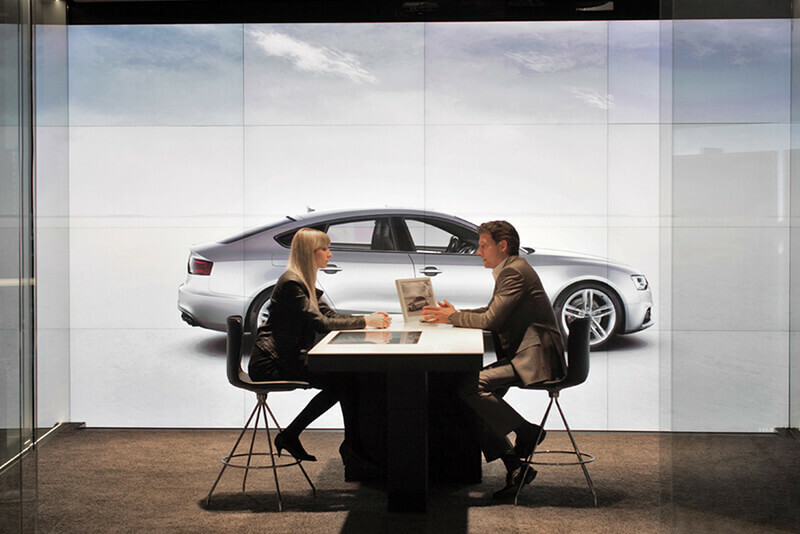 The collaborative project optimised the retail layout and design of Audi’s new city centre “virtual showroom”. 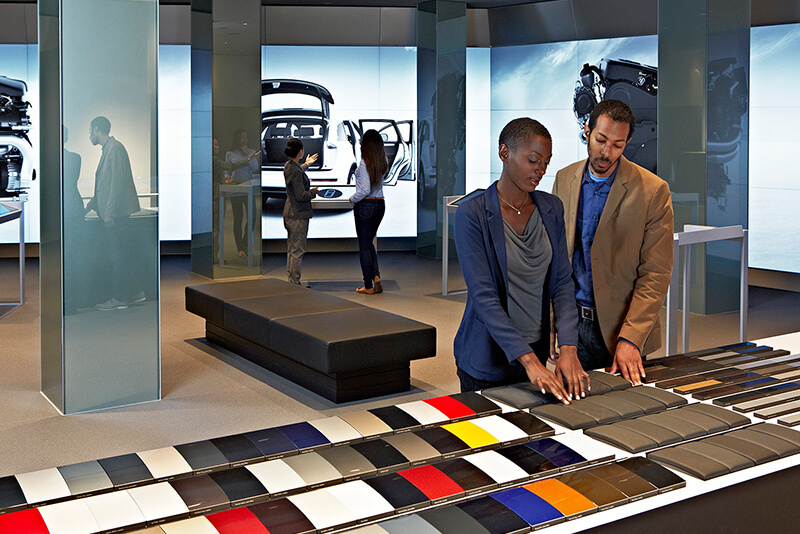 A combination of opinion leader and consumer research in all markets was used together with Shopworks and external retail experts’ insights. 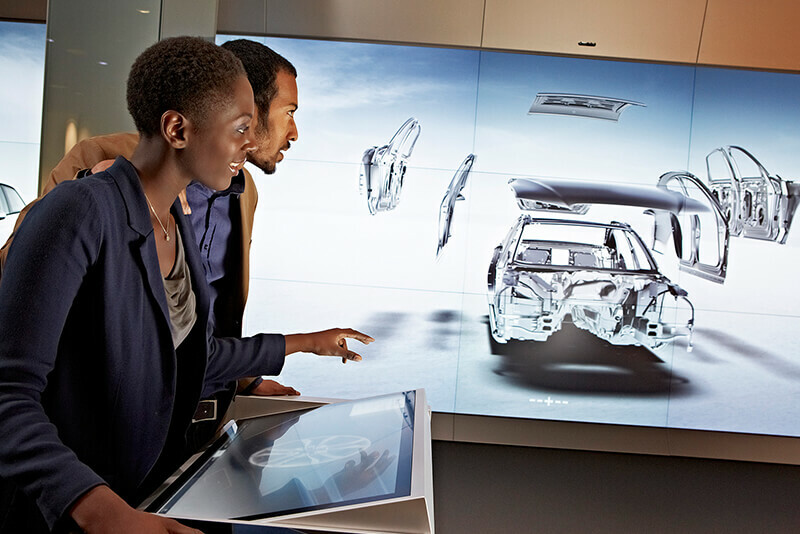 The new digital showroom links table-mounted touch screens with 4 huge, floor-to-ceiling screens, enabling customers to configure the car of their choice with a range of specifications and then view the finished product in large screen, with the added benefit of being able to rotate the car, open doors, look through windows and then watch and listen as their virtual car drives away.